Why? There are a lot of reasons that apply generally to English speakers. Mandarin gives you access to 1.4 billion humans’ worth of business, learning, and cultural education opportunities. It’s hard to comprehend what this means. But learning Chinese gives you access to more people than any other language you could learn (in large part because so few Chinese can speak English for real communication). Learning Chinese will confer prestige. Nobody’s that impressed if you speak Spanish. But Chinese! That language is so difficult, they will say. How did you even start learning something so incomprehensible? Learning Chinese will broaden your mind. Chinese culture is really different from that of the United States and Europe. Very few movies (even those about China) really touch the depths of the culture. By learning a language that is so different from English, you open your mind to new ways of thinking that you wouldn’t encounter simply from learning something like French or German. China is a rising force in the world. If your only exposure to China is through Western media, you’re going to have a very poor understanding of the country, where it is going, and the attitudes of its leaders and people. I for one think it’s kind of important to understand at least a little about what will soon be the world’s largest economy. “Learning” Chinese through vocabulary exercises, flashcards with characters, grammar books brings zero results. It’s a hobby for some, I understand, but it brings no improvement to real-life communication skills. Chinese, like probably any other language, is a context-based one. People speak it, they don’t communicate just by showing flashcards to each other. What they say is often not as important as how they say it and in which situation do they need to say it. If you want to speak Chinese, you need to start speaking it from the first minute of your learning practice. Don’t waste your time and money on trying to learn Chinese. 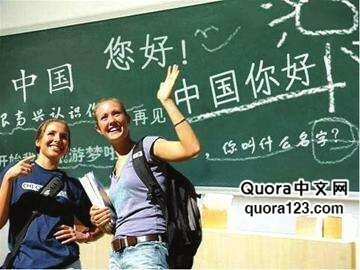 Find friends in China willing to learn your language and start communicating with them instead. Forget fancy characters, any grammar rules – just listen to what people are saying, repeat it and little by little learn to make your own phrases.